I am on instagram daily it seems. It's so great with the hashtags and the @'s because it's so easy to find things and feature other peoples work with my fabric or patterns. So easy! BUT, I'm aware some of you don't have Instagram and really don't want another thing to have to check. So...IDEA! I'll feature here a few of my favorites from instagram (hopefully weekly) so all of you who just check the blog can see what is going on in other places other than the blog! And also I've been missing this outlet lately…so what better way to start with some fun features and pretty pictures from Instagram. I will be making sure we link back to people we feature here, if there is no way to link back I will link back to my or their instagram account where there will be a link back. So lets begin with our first Insta Friday with this 1st lovely picture. I'm so in love with Julies placemats she made for her home using some of our first fabric line (Simply Color) and the V and Co Ombre . She made one of her Night Sky Quilt pattern blocks and quilted it and bound it. Brilliant idea and so so pretty. And last but not least I need to highlight and shout from the roof top this GORGEOUS Quilt that Nydia made using all 20 of my new ombre's. This pattern is called Tessalation Quilt which Nydia designed for Alison Glass. I sent some Ombre fabric to Nydia to play around with and she made this new version just this week. It's mind blowing to me that this is a quilt. Nydia is a genius when it comes to color placement and design. 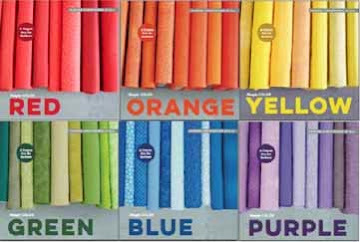 If you are interested in pre-ordering our 20 Ombre colors please visit the Fat Quarter Shop. The fabric ships January, but you can at least rest assured that you will get your hands on it if you preorder now! But seriously isn't this quilt amazing?? Remember to enter the chance to win fabric to make this adorable pin cushion I made with Amanda Jean's New fabric line called "Good Neighbors" And on Monday I'll be showing you how to make this adorable pincushion. :) Talk to you soon. What you said above describes me. I don't do Instagram, Facebook or tweet and have no intention of starting. My life is buys enough already. Thank you for your thoughtfulness!!! 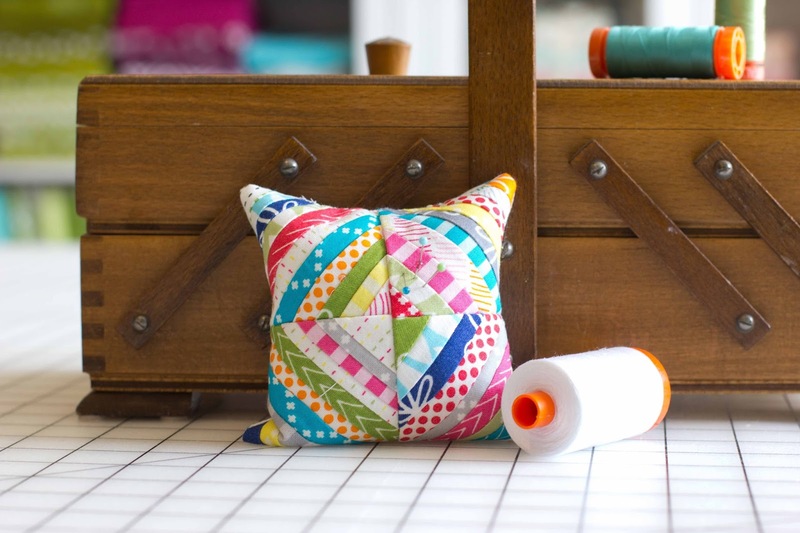 Vanessa, that Tessellation quilt is amazing--because it has all your wonderful fabric in it! 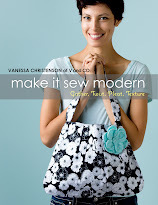 Looking forward to another great tutorial - and the perfect fabric to use!! The quilts are amazing, but the one by Nydia is really fantastic! Wow! I LOVE it!